A rendering of an outdoor social space inside the new Jo and Joe Rio de Janeiro. AccorHotels’ millennial lifestyle brand Jo and Joe has grown its global footprint, expanding outside its Europe heartland for the first time and opening its first property in Rio de Janeiro, Brazil. The new property will feature 70 rooms and apartments capable of accommodating up to 10 people each, while apartments, private rooms and even penthouses will be available to smaller crowds and those preferring a level of privacy. In total, Rio’s new Jo and Joe will offer 350 beds. 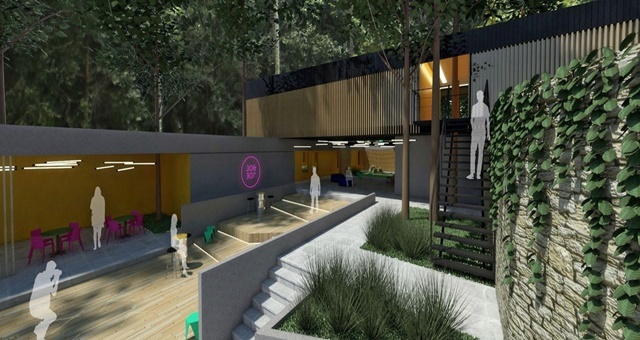 Located in Cosme Velho in the shadows of the Corcovado mountain and the Cristo Redentor, the mixed hotel / hostel brand draws on its core concept of the sharing culture, encouraging guests to mingle with each other and engage in the spirit of the local community around which the hotel stands. Collaborative events at the hotel such as yoga, DIY workshops and concerts by local artists are open not just to guests but also the general public, welcome to visit at their leisure. Communal facilities will include a co-working space for business travellers or entrepreneurs working on the next great idea. On a more social level, people will find a number of restaurants and bars, a juice bar, indoor and outdoor social areas, a swimming pool and BBQ area. A large bar with space for 300 people will be a primary hub for evening entertainment while artists both emerging and established will ply their trade at a dedicated celebration area which will double as a cultural and artistic space. Transportation will be at the heart of the new Jo and Joe to help guests explore the local area. Minibuses will run regularly to Copacabana and Ipanema beaches as well as Grumari, Joatinga and Prainha – all popular surfing breaks. Airport transfers will also be available to ferry guests between the hotel and both Galeão and Santos Dumont airports. AccorHotels’ move to expand Jo and Joe to a second continent comes following a local push in Rio to regenerate a building of local cultural significance which attracts interest from both locals and tourists. 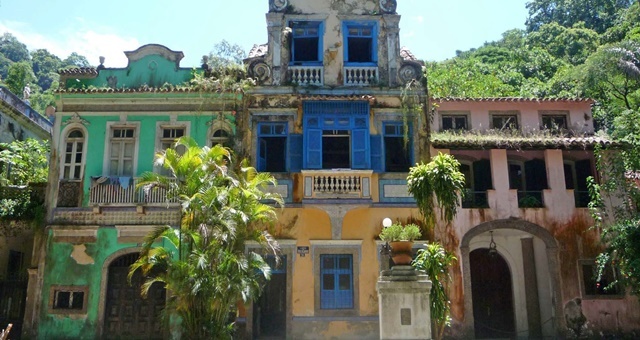 The global hotel juggernaut has spent 20 million Brazilian Real on the purchase of six houses which will make up the new hotel, while a further 30 million renovation and refurbishment spend will bring the heritage-listed property to a high standard while remaining in tune with the original design. “The regeneration of the complex involves the spatial and technological updating of the environments, adapting them to the new uses of a primarily young public. The theme of this regeneration is to expand naturally into the surroundings, involving other points of interest in the neighbourhood,” a senior architect attached to the complex said.